Item # 302766 Stash Points: 5,195 (?) This is the number of points you get in The Zumiez Stash for purchasing this item. Stash points are redeemable for exclusive rewards only available to Zumiez Stash members. To redeem your points check out the rewards catalog on thestash.zumiez.com. 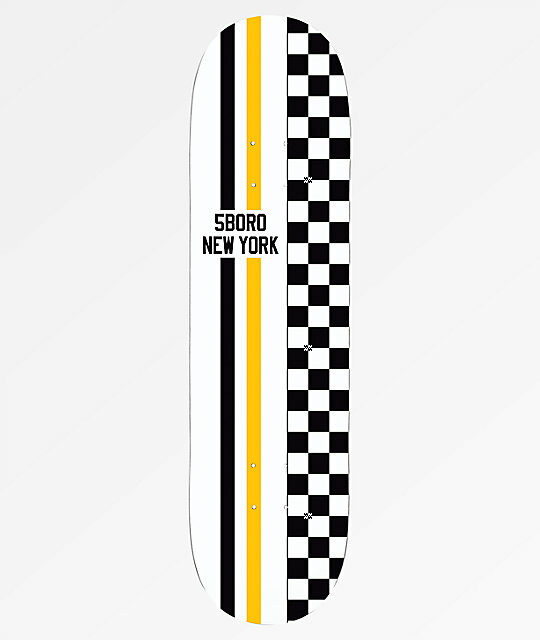 Feel the need for speed with 5Boro's Race Stripes 8.0" Skateboard Deck. This board comes complete with vintage-inspired race stripes and a checkered pattern print pattern across the underside. Race Stripes 8.0" Skateboard Deck from 5Boro.